ATG is proud to offer whole and half pig shares in order to provide custom cut and packaged, high quality pork at a competitive price. 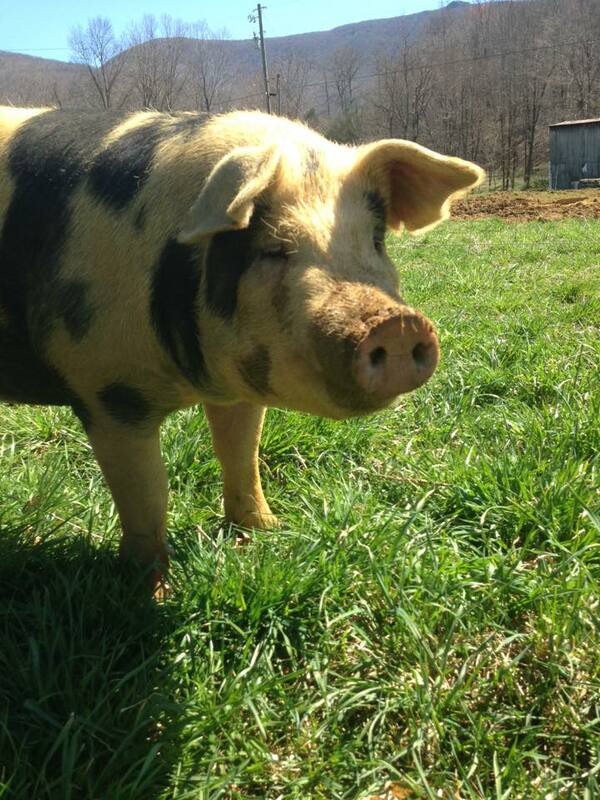 Our pigs are allowed to forage on the pasture and woodlands on our farm in Watauga County and are fed GMO-free Verified grain from Barrier Mills in Mt Pleasant, NC. We will be responsible for raising the pigs humanely and with transparency. As a customer, you are welcome to ask us any questions about our practices and techniques. 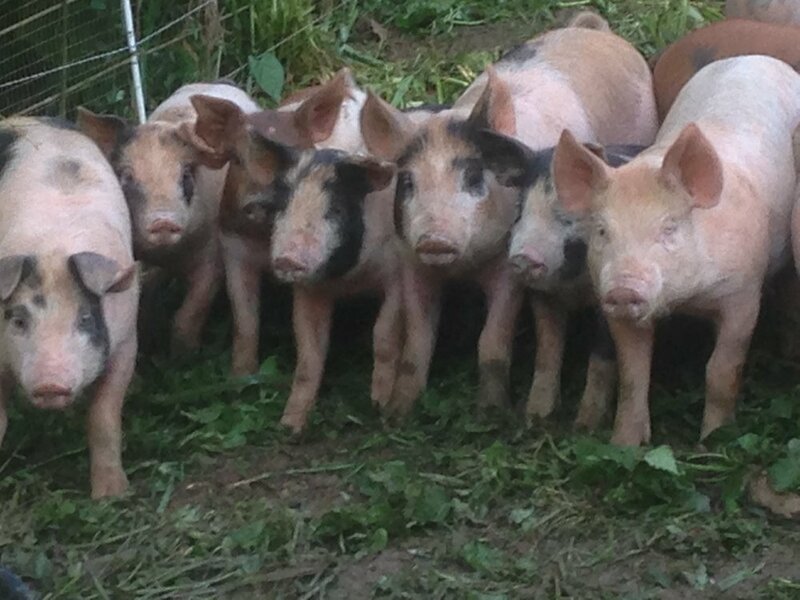 You are also welcome to schedule a time to come to the farm and see how our pigs live. We will transport the pigs to the butcher and transport the finished product back to the Boone area. ATG is not responsible for the quality of cuts that you receive from the butcher. We will do our best to communicate your preferences for specifications of the final cuts, but ultimately, fulfilling these requests will be up to the butcher. As a customer, you are responsible for a 50% deposit up-front (based on the estimated final cost) and prompt final payment once hanging weight has been determined. Additionally, good communication regarding pick-up of your pig is important. ATG does not have freezer space to store pig shares. Therefore, it is essential that we make arrangements to meet in Boone or at the farm as soon as possible after the pork returns from the butcher.